Texas trial attorney Clint Brasher says policyholders should be mindful of the deadlines for filing their lawsuit for Hurricane Ike damage. Since expiration of statutes of limitation will forever bar policyholders from filing suits, policy holders should contact legal counsel to get advice on the limitations period for their claim. Suit against us. No suit or action can be brought unless the policy provisions have been complied with. Action brought against us must be started within two years and one day after the cause of action accrues. Texas homeowners, businesses, and churches are being bombarded with advertisements that “The End is Near” or “Now or Never” regarding their time period for bringing legal action for Hurricane Ike damage. Insurance policies generally define the time period by which suits can be brought. But, the deadline for filing a lawsuit for Hurricane Ike damage depends on the facts of each case. Hurricane Ike struck Southeast Texas on September 13, 2008. The two year anniversary of the third costliest storm in U.S. history is fast approaching. While the deadline to file a lawsuit in your claim may not be September 13, 2010, it is not worth risking your claim if you have been unable to resolve it on your own by now. Courts in Texas have routinely held that the day on which your cause of action accrues depends on each case. Most courts hold that the cause of action does not accrue until your claim is denied or closed. As a result, many policyholders will be able to bring suits beyond the two-year anniversary of Hurricane Ike. At the same time, it would be prudent to go ahead and secure legal counsel. The Brasher Law Firm, PLLC, handles cases all over the Southwest. Their attorneys are licensed in both Texas, Louisiana, and Nevada. The firm has experience handling residential, commercial, and church claims. Brasher knows firsthand the frustrations of dealing with insurance companies for damage claims – he and his family were forced out of their home for 9 months following Hurricane Rita. 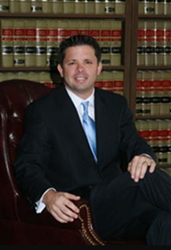 Attorney Clint Brasher, the founder of the firm, is a Board Certified trial lawyer. Brasher has extensive experience in insurance disputes, injury claims, and employment disputes. He was named a Rising Star in Law & Politics magazine in 2005 and 2006. To contact the Brasher Law Firm, PLLC, call (888) 989-2889 (toll free) or reach the firm through the online contact form at http://www.brasherattorney.com.